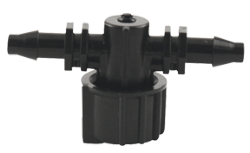 Hydro Flow Butterfly Hose Clamps make securing your hose over a fitting a breeze. Made from quality stainless steel, this hose clamp uses a butterfly style tightening tab. No screwdriver or tightening tool required. Just turn the tab to the desired fit and rest assured the clamp won't stretch or slide off. 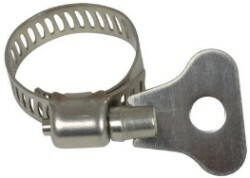 Hydro Flow Butterfly Hose Clamps 1/2"
Hydro Flow Butterfly Hose Clamps 3/4"
Hydro Flow Butterfly Hose Clamps 1"
Ideal-Air Butterfly Hose Clamp 2/Pack 4"
These Ideal-Air Butterfly Hose Clamps makes for quickly and easily attaching ducting to collar fittings. 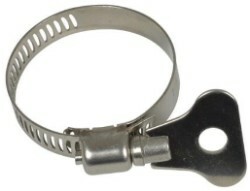 Made of heavy-duty stainless steel. 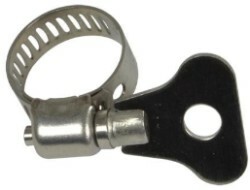 Unique butterfly shaped screw head easily twists for hand tightening without tools. Ideal-Air Butterfly Hose Clamp 2/Pack 6"
Ideal-Air Butterfly Hose Clamp 2/Pack 8"